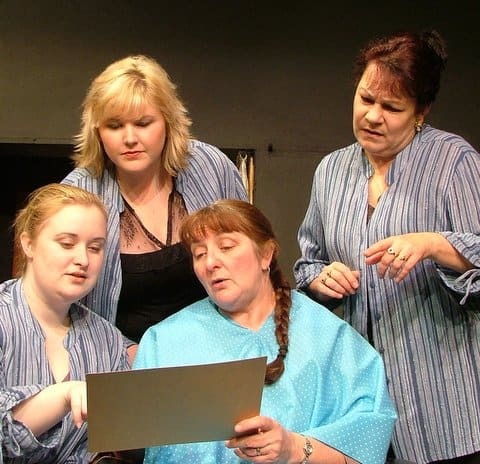 Working with ILT you’ll not only learn about the craft of acting, but you will also learn about the business side of things and make contacts in the local entertainment community. Acting with ILT will enable you to develop a daily routine for honing your craft, including voice and body work, as well as rehearsing and audition techniques. ILT can give you the opportunity to build a resume of roles you have played for those future professional ‘gigs’. Mixing with like minded people will also broaden your knowledge of the industry while making new friends at the same time. Subscribe to our website (on the right) and we will let you know when the next auditions are on. Alternatively, just go straight to the Auditions page!